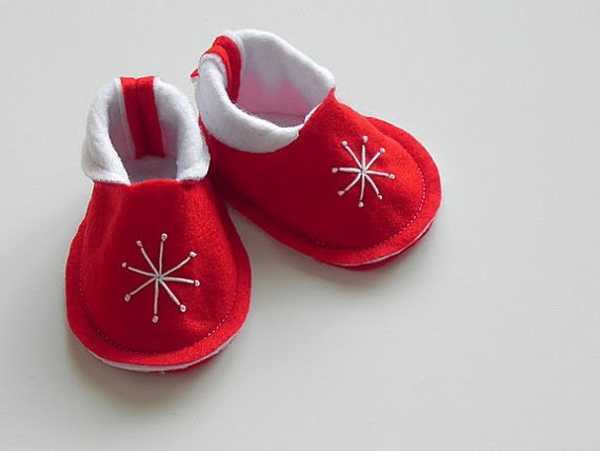 Just because babies can’t walk, it doesn’t mean their feet don’t deserve some warm slipper goodness. Simple and sweet, these felt baby booties look so cosy and inviting, and they are just gorgeous. 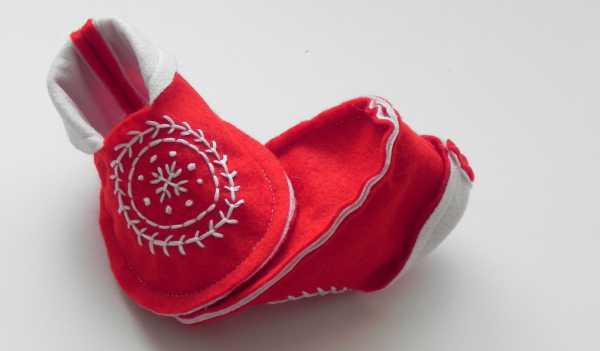 Made in British Columbia, each little pair of booties is made from felt and lined with fleece. The embroidery is hand-stitched with cotton embroidery floss. 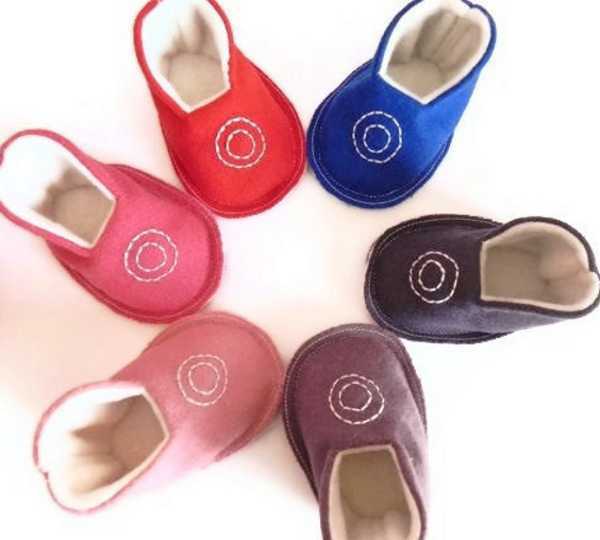 These are designed for newborns through to six-month-old babies and come in six beautiful bright colours. Some of the slippers have intricately detailed embroidery, from very sweet noughts and crosses to Scandinavian designs (pictured above). The booties start at CAD$20 a pair from Good Wishes Quilts, with delivery to Australia available.